We spoke with Tom Dean of Castle (IN) High School about his band's 2017 debut on FloMarching at the BOA Tennessee Regional (9/23). 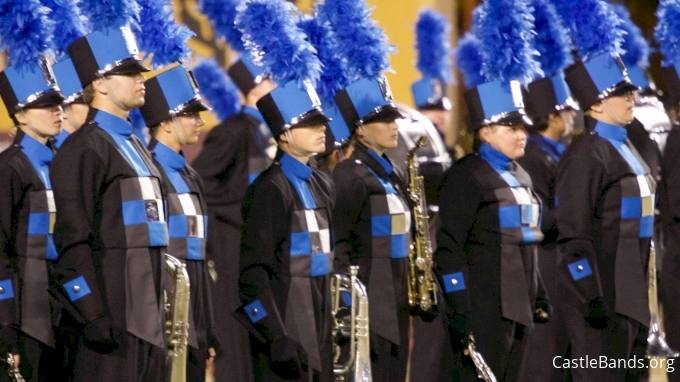 The 2017 BOA Indianapolis Super Regional will also mark Castle's first BOA performance inside Lucas Oil since the 2016 Grand National Finals and the loss of Sophie Rhinehart. The solo vocalist in 2016's show was tragically killed in an car accident in the early-morning hours following the band's final performance at Grand Nationals. Certainly, Castle will put on an emotional show and have the entire country cheering from them inside Lucas Oil and at home. Castle's prelims performance is set for 9 PM EDT on Friday 10/20.